…and we’re back in Paris after taking a trip around France! When we first got back to Paris, we were arriving by coach from Normandy. We arrived at our hotel in mid-afternoon, ready to hit the town. Everyone was especially excited because the date was June 21. You know what that means, right? 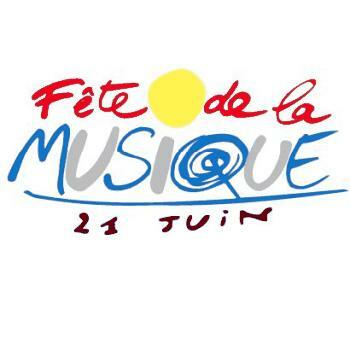 Not only is it the longest day of the year, the Summer Solstice, but all over France, even in the smallest village, it’s La Fête de la Musique http://en.wikipedia.org/wiki/Fête_de_la_Musique, The Music Festival! This is the one day of the year that people wanting to play music of any kind, professional or amateur, can get out on the streets and show their stuff. It’s a great big party, and the ambiance is quite festive, and of course, it doesn’t get dark in Paris until after 11:00. I don’t think my students had ever seen anything like this. No matter where they went (we were mainly in the Quartier Latin), there was music on ever corner, every space was filled either with musicians, singers, or spectateurs like us. We sent the students out for a little free time, groups of 4+, and I’ve been told they had the time of their lives. You must know that all of my students were, at the time, 17-18 years old, and they’re all boys. We only gave them a bit of free time before meeting up again. We saw how much fun they were having, and they seemed well-behaved (nobody was drinking, or not that we could tell), so we let them have a bit more free time. On the Métro ride back to the hotel, they had lots of stories to tell. Most of them had the obvious “best” story to tell (they are teenage boys). They’d seen a group of about ten young French people all stark naked traipsing around in the Fontaine Saint Michel. That’s something they’re not likely to forget. We stayed up later than usual that night, but with the promise that nobody would make trouble when the 8:30 wake-up call would come the next morning. They came through for me, and nobody had on dark sunglasses. I considered that a success! We woke up to a rather gloomy day, as far as the weather goes. There was a light mist, enough for an umbrella, and it was pretty chilly. Sweater weather. Good thing we saved Le Louvre http://www.louvre.fr/en for the last day! We got to the museum at about ten, and fortunately I’ve been doing this long enough to know which entrance to use in order to avoid the long lines. In case you’re not aware, I’ll tell you that you must not use the pyramid entrance. Rather, you should enter the museum through the Rue Rivoli (Palais Royal)entrance. However, you may not use this entrance for groups. If you are like me, traveling with a large group (especially students), send them in groups of no more than three, and not one right after the other. They catch onto that pretty quickly. 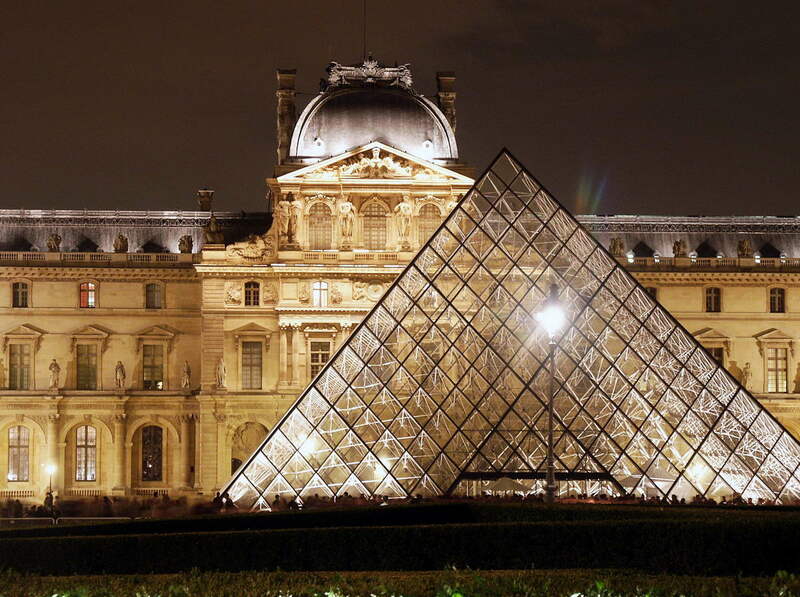 I’ve been to Le Louvre a million times (not really), and on that day I didn’t particularly feel like it. Instead, I sent them in groups and gave them a meeting point after lunch. I considered going to see the new Woody Allen film Midnight in Paris http://www.imdb.com/title/tt1605783/ that had just opened (what an awesome movie), but instead I thought I’d better go and check on my colleague who was stuck back at the hotel with a hurt knee. He was glad for the company, and we had lunch together. I felt bad that his last day in France was compromised by his injury (I think he’d been doing too much climbing, he’s quite the adventurer). After I met back with my students, we went to the Champs-Élysées http://www.champselysees.org/, viewed the Arc de Triomphe http://www.arcdetriompheparis.com/, ate a few macarons from La Durée http://www.laduree.fr/, and before we knew it, it was time for an early dinner. After dinner, it was back to the hotel to pack and get ready for an early flight out the next morning. The check-in at Charles de Gaulle http://www.aeroportsdeparis.fr/ADP/en-gb/passagers/home/was “almost” uneventful. Just a reminder: No, it is not possible to check in with a bullet keychain. It’s not possible with a seven-inch dagger either. Boys . . . what can I say? But I’m not the one who had to deal with all of that. My unfortunate, liming colleague had the pleasure, while I prepared to greet my husband and children who were to arrive in Paris the next day, and then we began our two month family vacation in France. That’s the way I do it every year, I send the students home with the other chaperone, then stay for holidays. Maybe this year I’ll be able to stay there for good! If you’re interested, see my other posts about moving to France. So that’s it for the 2011 tour to Paris with my wonderful group of students. There was a lot more to see between the time we left the City of Lights and the time we made it back for the Fête de la Musique, but that’s a story or two for another series of posts. I hope you’ve enjoyed, and if anyone has some suggestions for future student trips, I’m all ears! Merci, et à bientôt! Previous PostParis, Je t’aime (Part 5: Montmartre)Next PostLooks like we’re moving to France! !